Made in collaboration with Juhye Lee and Jeff Gough. I'm still not sure what to say about this one. 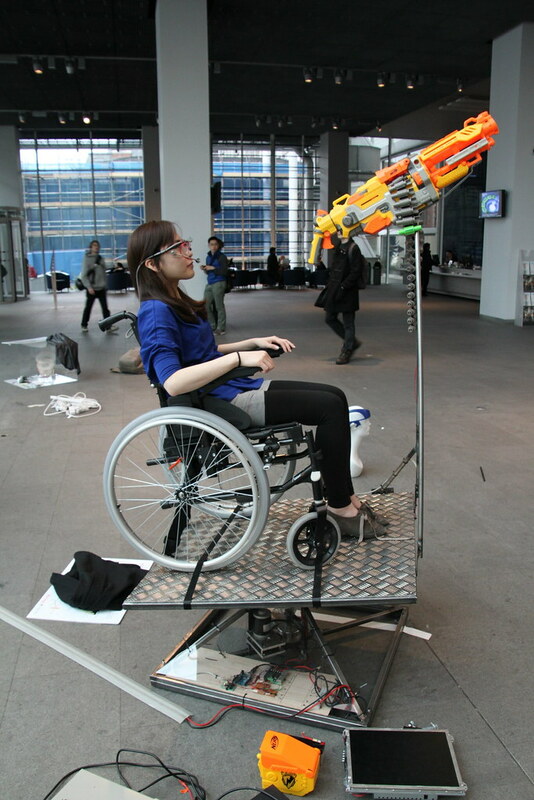 We wanted to make a robotic gun chair and managed to sell Rio Tinto on the idea as speculative R&D for the Paralympics. The rider wears a special headset that allows them to rotate the platform on two axes by moving their head and to fire the gun by blowing into a sensor. This thing goes pretty fast. Headshot has been featured on CNN, British Channel 4 News, and elsewhere in the media. 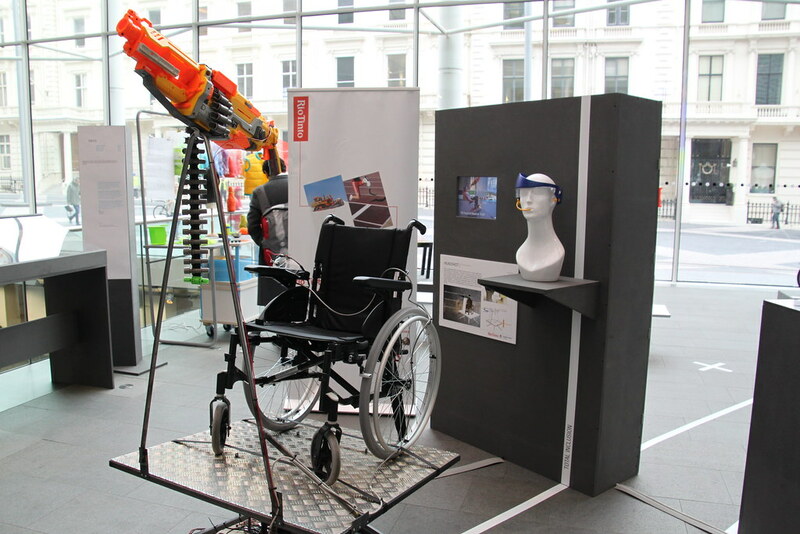 It was exhibited at Imperial College London in March 2012 and again at the Wellcome Collection in June 2012. 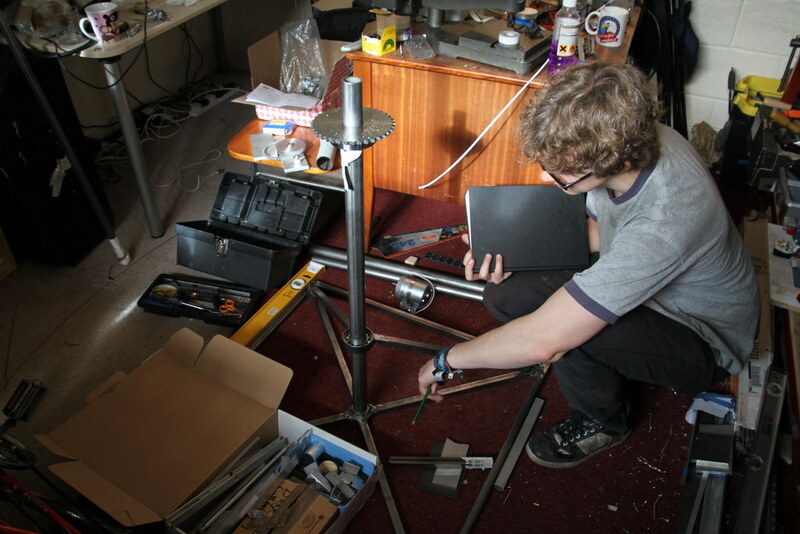 Working with Jeff on the mechanical build. 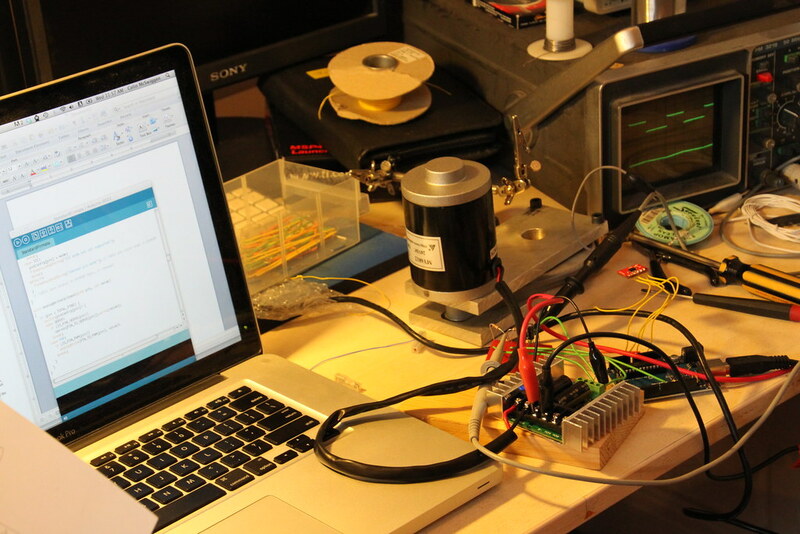 Putting together the electronics and firmware. 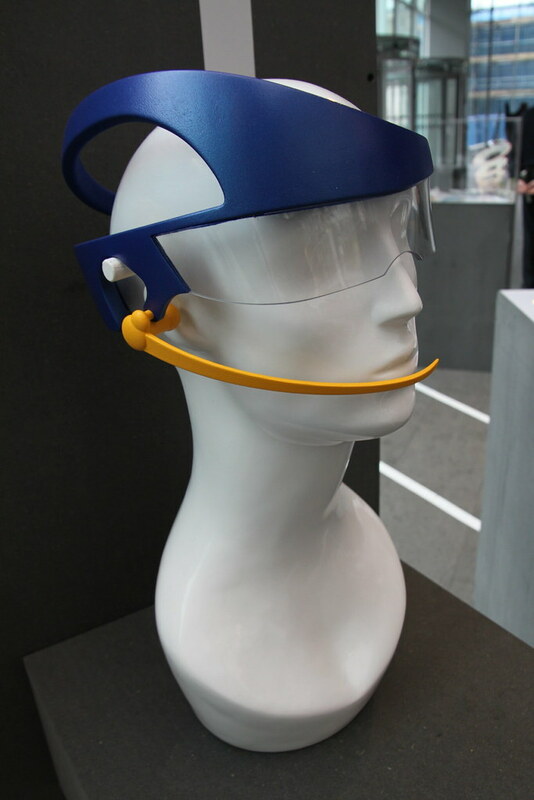 Motion-tracking headset: working model and 3D-printed aesthetic model. 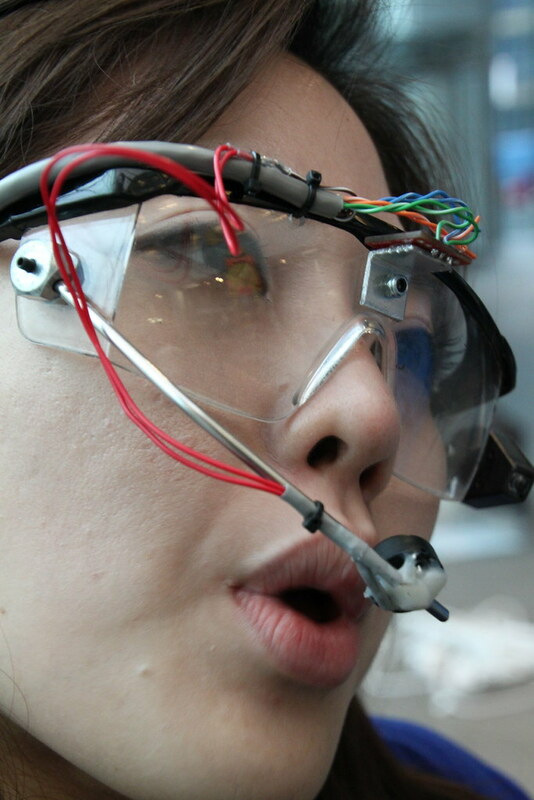 Juhye demonstrates the prototype during the setup of the ICL exhibition.